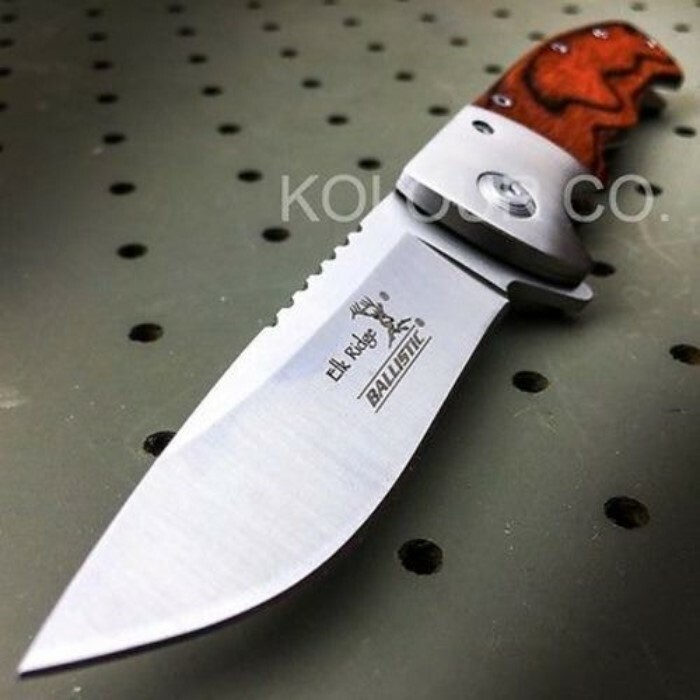 Elk Ridge Spring Assisted Opening Pakkawood Handle Knife | BUDK.com - Knives & Swords At The Lowest Prices! 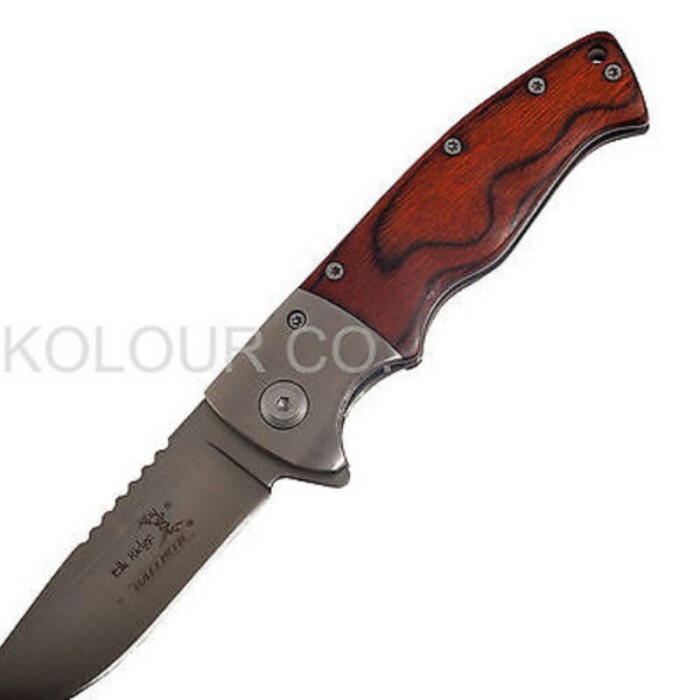 New from Elk Ridge this magnificent spring assisted pocket knife will become your Number One everyday carry. You want a knife that’s just going to fit comfortably in your hand and get the job done. 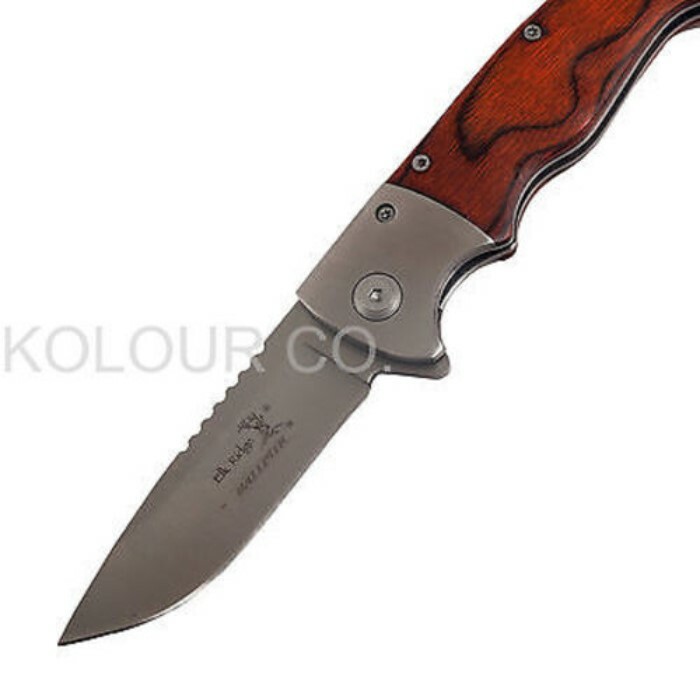 This pakkawood handle knife with its ergonomically crafted grip is just what you need. 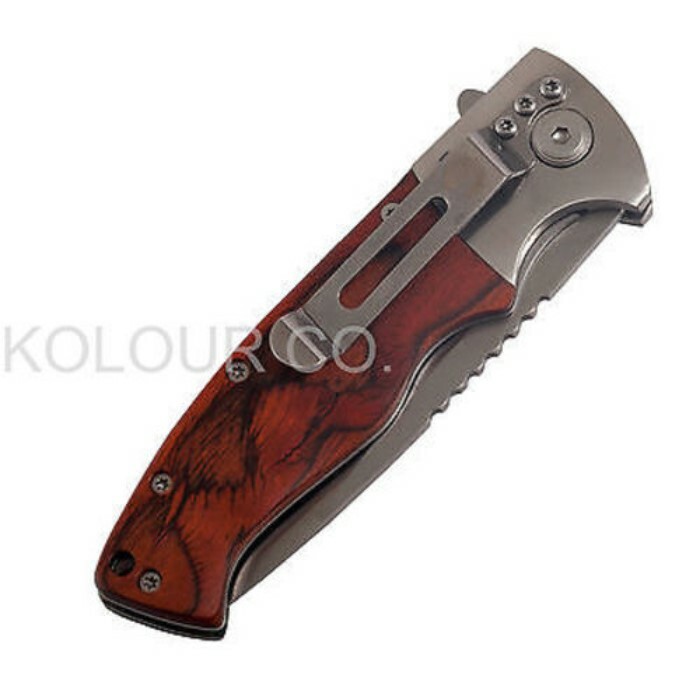 It has 3 1/4” satin finish stainless steel blade and features a pocket clip for easy carry. This pocket knife is 4 1/2” closed. Just received this knife in about 5 business days. The blade is solid and no wiggle or play yet. The wood that's used on this knife is very thin and doesn't seem to have a clear finish. (which is cool because I see this knife aging well) The knife seems to be held together nicely with screws and I see this lasting a long time. It has a good weight to it but not too bad. The only negative thing I've found with this knife is that the spring assist doesn't work very well if at all. I find myself having to give the knife a little flip with my wrist to get the blade to fully eject , and it springs out rather slow. For $8.99 though, this is a great deal. I could see a store retailing this for anywhere between $12-$22. 4 stars is only for the spring assist but not a huge deal for me.